Professional and academic discourse around radicalization with the intent to disrupt, isolate, and dismantle terrorist organizations. How religious extremists use social media and social networks to recruit. The do's and do not's of government (including military) response to recruiting by religious extremists. How to read social media profiles of potential targets to understand the human terrain. The use of scripture by religious civil society to combat and suppress extremism. Final hands-on exercise lab and testing. 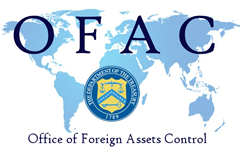 Recruiting of males, females and child soldiers, propaganda, incitement & attack methods etc. Malware Analysis Hands-On Lab (OSINT techniques) - Syrian Electronic Army (SEA)Tactics, Techniques, and Procedures (TTPs). "Terrorists employ the Internet for recruiting, training, motivating, and synchronizing their followers. The enemy frequently operates essentially unrestrained and is free to innovate and exploit its potential. Cyberspace provides new and important means and methods to collect and process large amounts of information on the local populace and insurgents." 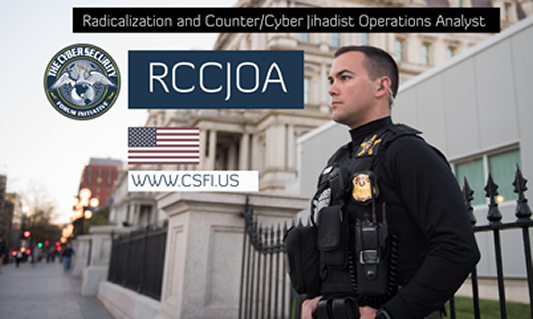 The end state of CSFI's unique Radicalization and Counter/Cyber Jihadist Operations Analyst (RCCJOA) training and certification is to support the warfighter, the intelligence community, and law enforcement to strategically defeat terrorist organizations and their affiliates and adherents through the use of cyberspace.